Mumbai is known to be the city that never sleeps. The daily hustle and bustle of the city can be taxing on its residents. Camping is a way to unwind with your friends and loved ones. Night camps can be a way to take a break from the city and spend some time in the lap of nature and serenity. 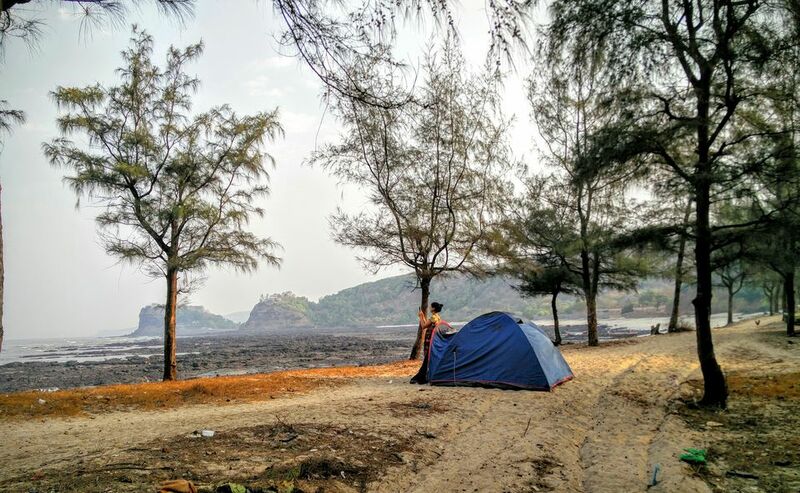 Here are our top picks for overnight camping near Mumbai. Yeoor hills is just a stone’s throw away from Mumbai. 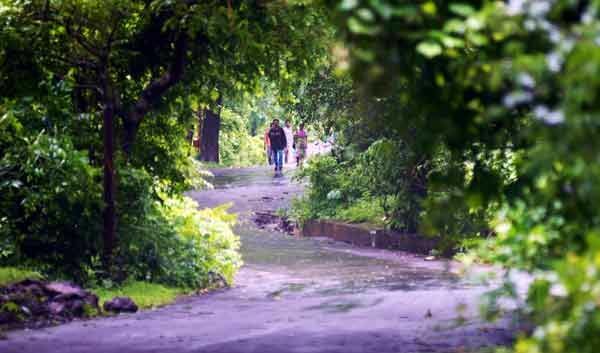 The hills provide a fresh breath of life to those who want to escape the hustle and bustle of Mumbai city. The place is known for its several trekking trails that will leave you spellbound. The hills are also known for the various types of trees like the Jackfruit, Apple, and Jamun. You can camp at the top of the hill and spend the night there, waking up to the beautiful songs of the birds that fly by the valley. The hills are easily accessible by cab services like Ola and Uber. The Karnala Bird Sanctuary lies on the old Mumbai-Goa highway near Mumbai. The sanctuary is known to be the home for several migratory birds when they leave their homes. At its peak, one can spot over 300 different types of bird species; however, they need to be done with caution so as to not scare them away. The sanctuary also has the famous Karnala fort that most campers choose to spend the night at. However, night camps need to be done with an officer of the sanctuary, so that the birds and other animals of the sanctuary aren’t disturbed. Badlapur is famous for Vishnubaaug, a famous camping spot. The camp is located on the banks of the Ulhasnagar river. The campsite conducts workshops for kids and adults and teaches activities like brick making and clay modeling. The camp also offers jungle walks where you can spot different species of butterflies and birds. There are cold waterfalls in the near vicinity as well where you can feel refreshed. There is also an overnight trek conducted hre that takes you through the nearby hills. Lonavala is a picnic favourite of many Mumbai residents. The hill station is blessed with astounding greenery and numerous waterfalls. During the monsoon season, the waterfalls begin to overflow and give the entire surrounding a celestial look. Nearby is the famous Rajmachi fort, which is a popular overnight camping spot for adventure enthusiasts. You can spend the night atop the fort with your friends by the bonfire of the camp. Matheran is a hill station near Mumbai known for its breathtaking beauty. The hill station is famous for various lookout points that provide a captivating view of the western ghats. The town also has a dense forest in its vicinity where trekkers often spend their time. There are also jungle camps that are conducted in these forests. The jungle camp teaches you all the skill you need to survive out in the wilderness and can prove to be an exhilarating experience. Activities like rappelling and mountain climbing are also conducted here. Alibaug is a famous camping spot amongst the residents of Mumbai. The town is blessed with various beaches that attract a lot of visitors. The beaches in the town are known for the crystal clear water and the fish produce. The town offers a variety of activities for its visitors, camping being one of them. You can camp on the pristine beaches or the mildly dense forests and hear tales about the history of the town from the locals. The easiest way to reach the town is through ferry services however you can reach the place by road as well. Savarkut village is situated in the Sindhudurg district, near Mumbai. Savarkut village is known for the white water rafting activities that are conducted here. There are other water-based adventure activities like kayaking and snorkeling that are conducted here as well. The village also provides a campsite by the river wherein you can camp in the open landscapes while sharing some hot homemade food cooked by the locals. The village is also known for the beautiful sunsets it witnesses on a regular basis. Pawna Lake is a known camping site close to Lonavala. The lake came into existence with the construction of the Pawana dam that was built to supply electricity to the local villages. The lake provides a sense of calm to its visitor like no other lake. You can set up your camp by the lake and engage in activities like building a bonfire, stargazing and cooking your food. The camp is also close to forts like Tikon, Tungi and Lohagad that you can visit after your overnight camp at the lake. Igatpuri is a serene hill station nestled in the Western Ghats. The hill station is known for the spiritual tranquility it brings to visitors. Landmarks like the Myanmar gate nd Kanifnath temple are proof of the hill stations spirituality. The town is also known for its camping sites that conduct stargazing at night. 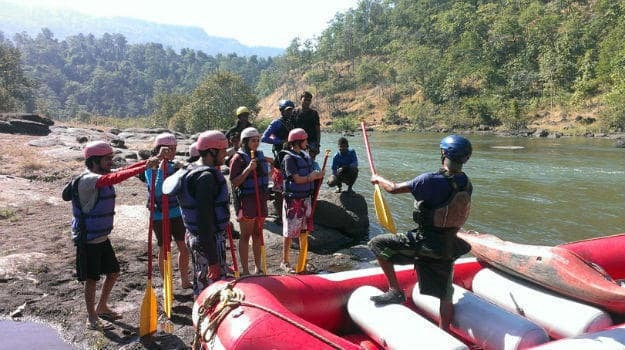 Kolad is most known for its rafting and other water-based adventure activities that take place here. However, the village also has a hidden aspect to it. Once done with the adventure activities of the day, there are idyllic tents in the nearby vicinity where you can spend your remaining time. You can grab a hot cup of tea and spend an ideal evening with your friends and loved one here. There are options for spending the night in tents as well as cottages for those who don’t wish to stay in the tents. Kashid is a town in one the Konkan coastline of Maharashtra. It is a quaint town that attracts visitors because of the scenic beauty it is blessed with. The town has clear blue water beaches that visitors can swim in. The town also has a night time camp that takes you through a nature trail and teaches you how to set up camp in the wilderness. The town also has adventure activities like parasailing and jet ski riding. The town is also famous for its lip-smacking food. Distance from Mumbai: 127 kilometres. Murud-Janjira is known to be the home of the famous Murud Fort. The fort was built to face the Portuguese during their invasion of India. The fort has been an insurmountable masterpiece when it came to defending the coast of Murd. The town also provides camping at night near the fort in the wild forests. Access to the fort is limited as it on an island away from the main coast; however, the fort can be visited during the day. The town is also known for several local joints that serve lip-smacking seafood. The camp also conducts fishing lessons for those interested in the activity. Bhandardara is famous for its lake, which serves as an important landmark in Ahmednagar. The place is known for its scenic beauty and plush greenery. Due to its greenery, it is a famous spot for may trekkers and campers alike. The place provides a guided nature trail wherein the visitors are guided by locals and are familiarised with the surroundings. One specialty of this place is the millions of fireflies that gather here at night all glowing in unison giving the place a heavenly look. Panchgani is another hill station very close to Mumbai. 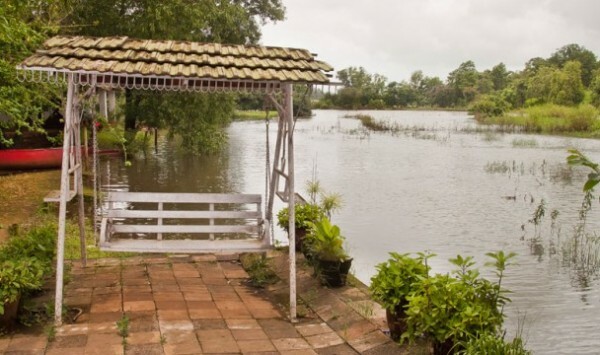 The eco-camp at Panchgani aims to combine camping and environmental sustainability. The camp provides various techniques and skills that that provide all the joy of camping without hurting the surroundings in which the camp is conducted. People can learn these skills and enjoy the pleasant view of the hills nearby. You can also go shopping in the nearby Panchgani market for local arts and handicrafts. Overnight camps can be a great way to reconnect with nature as well as yourself. It provides a moment of relaxation against all the stress one comes to feel from living in a busy city like Mumbai. 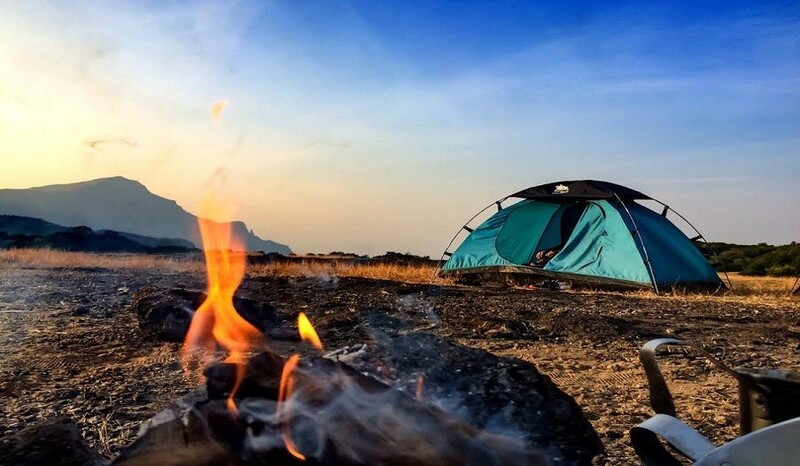 Do visit our mentioned overnight camping spots and do let us know if your experience in the comments section below.